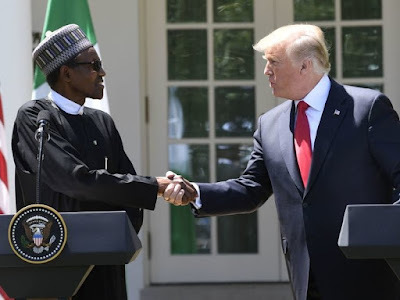 Buhari well known as Jubril Aminu Sudanese citizen visited Trump and in his speech, he is looking afraid and as well afraid to speak to the media. However, their secret was not disclosed but having been openly speaking repeatably about trade and investment. Therein, Nigerian political Thugs set up some Hoodlums to ask some questions in support of the two president.